Fireworks Safety in Orlando - JA Edwards of America, Inc. In the hot summer of 1776, a group of courageous men signed a document that would begin the life of the United States of America. Having approved the Declaration of Independence on July 4th, 1776, citizens of the new nation would celebrate that independence one year later in 1777 with music, bonfires, and, of course, fireworks. Since that time, fireworks displays have been a staple of Independence Day. Today, along with cookouts and other parties, elaborate fireworks displays define July 4th. For the typical homeowner in Florida, however, fireworks options are limited. Throughout the state, fireworks that are airborne or that explode are expressly forbidden. This ban would include the usual firecrackers, any sort of bottle rocket, and roman candles. In short, anything that you would think of as a proper firework is off the table. 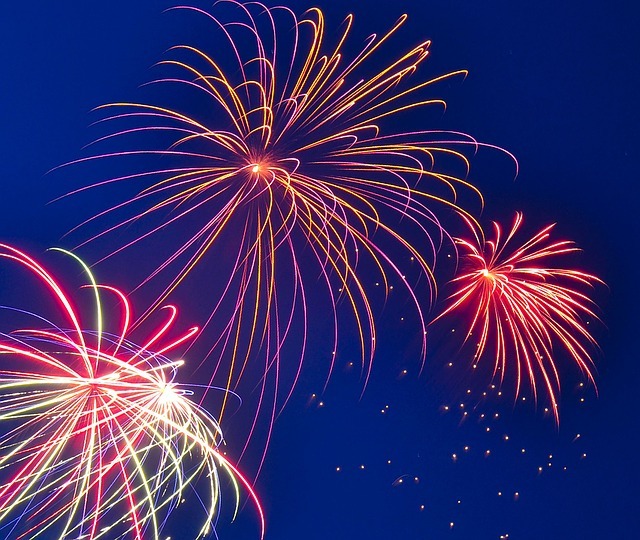 The ban on airborne fireworks makes sense from a property protection standpoint. Any projectile that go up must, of course, come down again. That means roofs littered with fireworks debris. That debris, like storm debris or everyday leaf and limb debris, can damage roof shingles and clog gutters. Remember, too, that many of the spent fireworks can come down still hot, or even flaming. Flames on a roof can spell disaster for a house. Best to avoid a potentially devastating scenario. So what options do Orlando residents have when it comes to displaying some national pride on Independence Day? Unless you have a special permit, you’re limited to sparklers. But be careful even with these hand-held beauties, which burn at a staggering 2000º F. Probably the best option is to leave the fireworks displays to the professionals so that you can enjoy the show without worrying about damaging a roof. The good news for Orlando area residents is that you have nearly three dozen different ways to have a good time on July 4th. Check out the lists here and here to find the best option for you. From all of here at J. A. Edwards of America, have a happy and safe Independence Day!